Any guestimates on final sale price? It has its flaws but it looks like its been well taken care of. Left side floorboard look like rust holes? There are no pictures of the left floor. Two pictures of the right. It looks ok but appears bowed in the middle of the frame rail probably from a jack. It needs a lot of work to be a museum piece or show car. It's not even close to that level. But it is a nice driver. All new vinyl in the interior would really make it look nice. I hope it sells for a lot since I also have an early one. I really don't know what it'll sell for. I meant right. Yea, far from museum piece for sure. Ah, the other left. ;-) The floor looks solid. He sprayed some undercoating over the old undercoating that was flaking off. The rockers look solid too. The seam between the quarter and rocker is still there. It's probably a good, solid car but he sounds like a flipper. And I don't trust flippers. We saw this car for sale not too long ago. The wheels have been changed since. It's harmony01. Who never actually closes a sale, apparently. With a number that low, the VIN, engine, and body inscription are the only things that a would be buyer would actually need to be 100% sure about. everything else is a bonus. And if you are 100% sure, then is it worth over $60K to you? Because last time this thing was on ebay, it went "reserve not met" at over $58K. $21,600. 3 d 17h left. 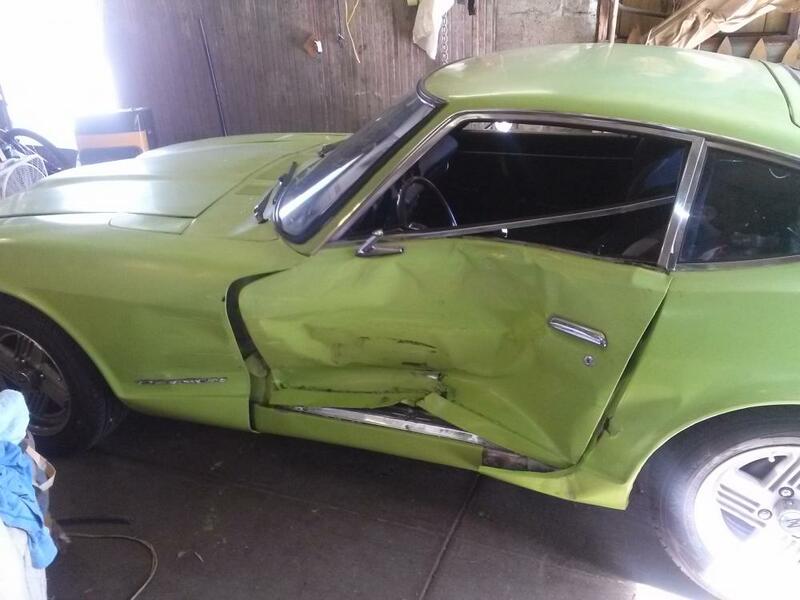 I didn't say I was buying it... but to someone who really likes datsuns, has the funds, and is looking for the "early enough example to be satisfied" number, that answer is a definite yes. Are you kidding me? 58k??? Now I could see that price possibly for #13 because it's all original and unrestored but come on, 58k for that car? I think so too. I don't know how much he's holding out for, but I'm still surprised he's got a reserve somewhere over 58K. I'm half torn between the two mindsets of A) "More power to ya!! The higher you can drive the price, the better for all of us" and B) the seeming arrogance of turning away a bid of just under $60K for that car. In my opinion here's what drives the prices up, unfortunately. but the question is... is that car even available for $60+K? And it has the "original AM/FM radio". I see now, you got me. Is that a Fairlady radio panel? Volume control on the right? I google/images that picture. It does have the antenna on the same side though. I'm almost positive the first Zs only had AM though but can't say for sure if a right handed car has the opposite volume knob. Theres two members that know the answer but whether or not they enlighten me is unknown. Maybe so? How can you see the pictures still? He pulled the auciton. You are correct. Tuning is on the left on some RHD cars. I say some because i'm sure there is some obscure anomaly out there that i'm not aware of. The early (this is where we get into the 'series 1 / series 2' rigamerall) North American import 240Z came with an AM radio and one speaker. The power antenna toggle switch was on the right side of the face plate. In 1969, there were no FM radio stations to listen to. Later cars (series 2, I guess) came with an AM/FM, two speaker (stereo?) radio with the power antenna slide switch on the top-right of the face plate. Nissan also offered an AM radio with an 8-track cassette player, however it was not marketed in North America. The power antenna switch on my 8-track is similar to the AM/FM face plate. Both the AM radio and the AM radio 8-track have the volume control on the right. 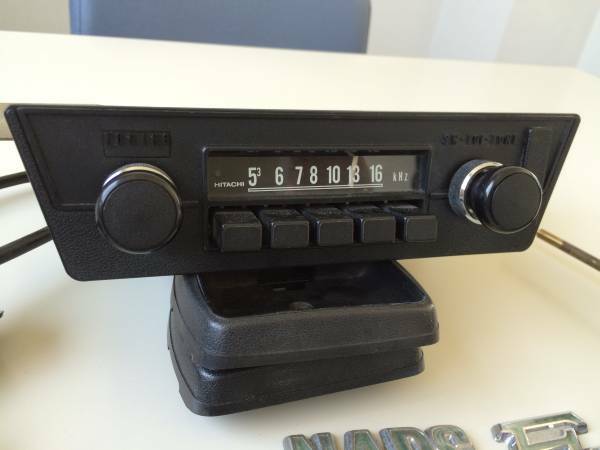 The FM radio is a different chassis and thus the volume control on the left. So what does Fairlady actually mean? The story is that the president of Nissan Motor Corporation saw the Broadway play "My Fair Lady" during a visit to New York and decided to name the Nissan sports car "fairlady". Go to Carl Beck's website and read what is pretty much the accepted answer. 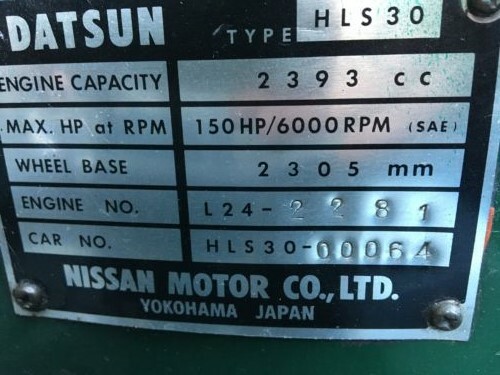 I personally don't believe that story is a complete explanation but the Nissan Fairlady Z introduced in 1969 is what was exported to North America as the Datsun 240Z The Nissan Fairlady Z has a 2 liter engine, The Datsun 240Z has a 2.4 liter engine. Sorry to be song long-winded.